April 16, 2018, 9:01 a.m.
By Ken Doctor @kdoctor April 16, 2018, 9:01 a.m.
On Friday afternoon, Tronc announced that its lead shareholder Merrick Media, led by just-resigned board chairman Michael Ferro, was selling its entire stake in the company. McCormick Media — managed by Sargent McCormick, a distant relative of the McCormick family that controlled the Chicago Tribune for most of its long history — is the buyer of Ferro’s 9 million shares. As we sort out the impact of the sale on the Chicago Tribune and the rest of Tronc’s remaining newspapers, we offer this publishing obit for the would-be impresario who grabbed so many headlines of his own in the last two years. Michael Ferro loved nothing better than entertaining a room of people with his wit and wisdom. Many of those entertained tell stories about how no one else had to even worry about coming up with their own tales; they only had to sit back and take it in. 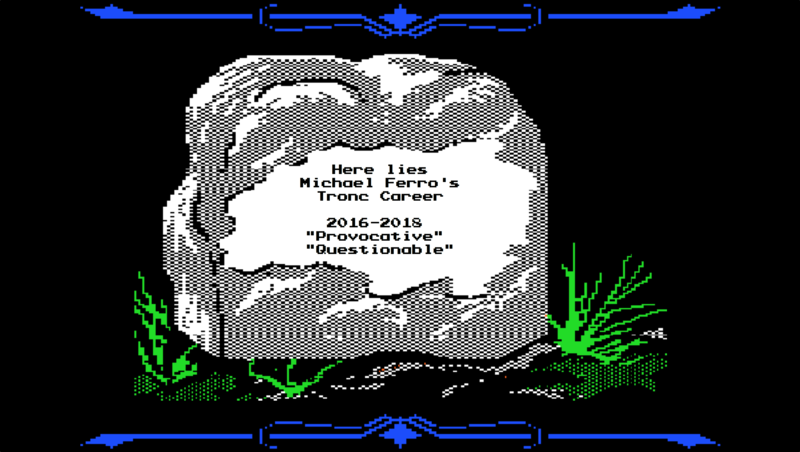 Late Friday, ironically just after his beloved stock market close, Mr. Ferro’s many associates and former associates found themselves shocked by his passing from the news publishing world. As word spread rapidly across Mr. Ferro’s most prized means of transformation, the Internet, many tweeted and shared their wonder of a world shaken by the early departure of Mr. Ferro from his earthly publishing delights. “I hope we won’t forget Michael Ferro,” said media analyst Ken Doctor, who had tracked in voluminous detail the short but spirited 26-month run of Mr. Ferro. In fact, even as Mr. Ferro departs the scene, he had been eclipsed by the attention recently showered on Alden Global Capital’s Heath Freeman, who runs Digital First Media. The story of how Mr. Ferro mesmerized his peers by turning a minority stake in Tribune Publishing into an industry-shaking tens of millions of dollars in profit — even as his company and the industry cratered — is a unique one. In his final days, he sold his stake in the company. In so doing, he returned his beloved Chicago Tribune to the back-to-the-future ownership of the local McCormick family — an act of civic conscience that will be hard to equal. It was, though, in his ability to advance his own selfless interests that his publishing life distinguished itself. In February 2016, then Tribune Publishing CEO Jack Griffin brought Mr. Ferro into the company fold. Mr. Griffin needed financial capacity to make an offer on the bankrupt-and-for sale Orange County Register. Mr. Ferro and his Chicago associates bought a 17 percent stake in the company for $44 million, obtaining their first tranche of shares at a meager $8.50. In what seems like a New York minute, Mr. Ferro’s adroit people-handling allowed him to dispatch Griffin, and the team that Griffin had assembled, and bring his damn-the-history, let’s-transform command to what was then America’s third largest regional publisher. He self-made himself chairman of the company within weeks. 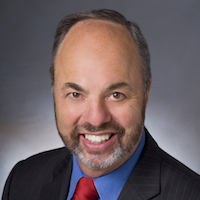 Mr. Ferro soon found himself fending off the unwanted advances of the Gannett Company. Who can forget his moral outrage at the time? “They are trying to steal the company,” he cried, just four months after dispatching Mr. Griffin in a coup. With astounding energy — and aided and abetted by Gannett’s own miscalculations — Mr. Ferro beat back the hostile offer. At his side, though largely silent, was always the loyal Justin Dearborn. Though Dearborn had no publishing experience, Mr. Ferro believed both in Mr. Dearborn’s ability to take direction and his off-the-charts note-taking ability and named him CEO. Mr. Dearborn also worked extremely well with Mr. Ferro’s loyal-to-a-fault board members. Given that work, and perhaps one other minor issue, Mr. Dearborn had assumed Mr. Ferro’s board chair role less than a month before Mr. Ferro’s final leave-taking. As the almost-six-month battle waged on, Tronc — the new dramatic new name for Tribune Online Content — emerged. Given the all-consuming nature of that battle, Mr. Dearborn wisely halted almost all actual digital transformation work, letting the name change itself stand on its own. By 2017, with Gannett humbled, its own share price halved, Mr. Dearborn could finally move forward to restart the engines of change. Curiously, just months before Mr. Ferro’s sudden demise, he had mused about his grandest dream: consolidating and leading the digital transformation of the entire U.S. newspaper business. “I’m going to buy Gannett,” he had told colleagues as recently as December. Then, in a twist of events that could only be captured in his second home, Hollywood, Mr. Ferro made Los Angeles medtech billionaire an offer he couldn’t refuse. Reluctantly, he would — for the greater Los Angeles community good — relinquish the Los Angeles Times and San Diego Union-Tribune, for close to $600 million, including pension obligations. Was that sum twice what the market said the properties might fetch at auction? It made no difference, as Mr. Ferro’s selfless civic act is what is likely to be most remembered. Add Mr. Ferro’s sale of his Tronc stake to the McCormick family to his sale of the Times to Mr. Soon-Shiong, and his memory will be well-scented. “He came out of it all like a stinkin’ rose,” concluded Mr. Doctor. It is unclear, at this reading, whether Mr. Ferro’s unexpected demise will affect the planned production of “American Hustle 2,” with Christian Bale rumored to portray the entrepreneur. While that movie is in question, syndication plans move forward on two of Ferro’s legacy projects. “Troncked: The Unbelievable Story of Digital Transformation” has been greenlighted for cable. Scripting of “Tronc Bloopers” — a reality re-telling of some of the company’s hilarious misadventures in naming and even trying to operate — has begun. Both Malcolm CasSelle, Tronc’s former chief technology officer, and Anne Vasquez, Tronc’s current senior vice president of strategic initiatives, are rumored to be consulting on the project. Services and a memorial for Mr. Ferro’s publishing career are being planned, with Air Ferro, Mr. Ferro’s leased aircraft, likely involved, as the numerous golden parachutes he offered for his most favored executives deploy from Los Angeles to Chicago to New York. The list of those likely to serve as pallbearers, both honorary and burden-carrying, include a literal pantheon of those Ferro touched in his too-short publishing career. From the Gannett Company, it’s understood that company chair John Jeffry Louis and CEO Bob Dickey are discussing whose involvement may be most appropriate. Both former U-T San Diego owner Doug Manchester and former Orange County Register chief executive Aaron Kushner find themselves on the list. They can only stand back and admire Mr. Ferro’s accomplishment. Los Angeles representatives of the News Guild actively consider who among them can best do justice to what Mr. Ferro has meant to their work. “Without Michael, the 137-year-old Times might still be union-free. We appreciate this unprecedented partnership with a company that worked so actively to assure our positive vote,” said one local union leader. There’s no word yet of whether News Guild national president Bernie Lunzer will be able to participate, as the groundwork Mr. Ferro laid in Los Angeles has enabled the Guild to ramp up its organizing efforts in Chicago and other cities. In lieu of flowers, the Guild is asking mourners to send contributions to the Michael Ferro/Heath Freeman Memorial Fund for the Renewal of Journalism. There’s no word yet on the participation of Oaktree Capital principal Bruce Karsh, who could only thank Ferro for the wild investment ride his company enjoyed — and the discounted price he was paid, $8 a share less than what Ferro got from McCormick Media — until selling a year ago. It is unclear what role, the now twice-discharged Lewis D’Vorkin, who three-month tenure as editor-in-chief of the Los Angeles Times set its own record, will want to play. Meanwhile, Mr. Ferro’s many Chicago friends wonder where to put their increased wealth now that his publishing adventures have come to an end. In tribute, as spring arrives, they are expected to gather soon, perhaps with their wives this time, at Mr. Ferro’s Lake Geneva retreat, the site of so many memorable times. In the end, Mr. Ferro’s leaves a company a little worse than he found it, save for a couple more years of digital disruption wear and tear. In his wake, he has opened anew adventures of transition and restructuring for the grateful buyers of his holdings. We may not hear it publicly, but behind the scenes, they will be thanking him for a long time. POSTED April 16, 2018, 9:01 a.m. Doctor, Ken. "Newsonomics: The news world will miss Michael Ferro." Nieman Journalism Lab. Nieman Foundation for Journalism at Harvard, 16 Apr. 2018. Web. 23 Apr. 2019. Doctor, Ken. "Newsonomics: The news world will miss Michael Ferro." Nieman Journalism Lab. Last modified April 16, 2018. Accessed April 23, 2019. https://www.niemanlab.org/2018/04/newsonomics-the-news-world-will-miss-michael-ferro/.